Rachael Bradford, Accredited Nutritionist (AN) and Accredited Practising Dietitian (APD) looks at Irritable Bowel Syndrome (IBS) and the role of nutrition in treating it. Happy and healthy bowels are the pillars for the body. They’re also the cornerstone of vitality, health and well-being. 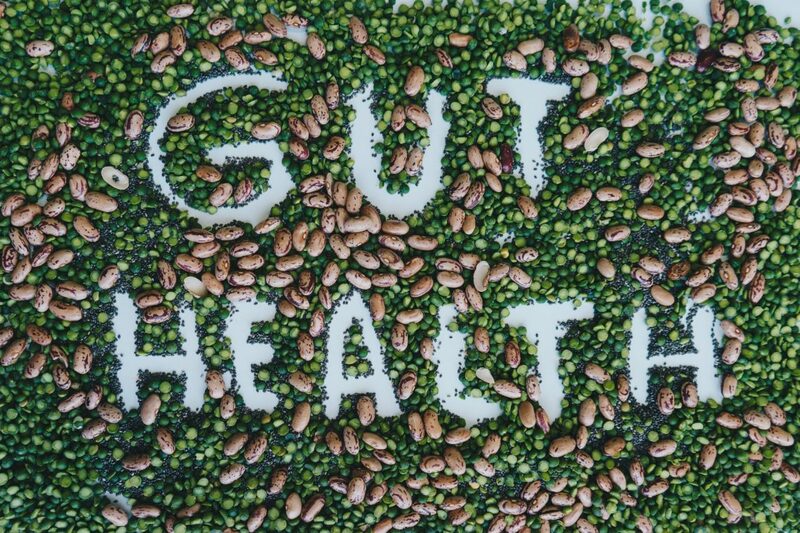 When the gut is working well, people feel vibrant and full of energy. However, if there is a chink in its armour, the body will soon exhibit unpleasant bowel symptoms. Irritable Bowel Syndrome (IBS) is a common functional gastrointestinal disorder that affects one in five Australians. IBS has a myriad of symptoms including bloating, excess gas production, diarrhea and/or constipation, abdominal discomfort or pain. The pathophysiology of IBS is multi-factorial and bouts of gut infection or illness, emotional stress, heightened visceral sensitivity, microbiota balance and dietary factors may all be contributing factors. Visceral hypersensitivity is a key difference in patients with IBS, which may explain the variance of symptomology in individuals, despite the similar colonic gas production from foods present in all individuals. Mounting evidence  and research  trials in recent years are showing that a low FODMAP diet is the most efficacious dietary intervention for the management of IBS. A low FODMAP diet leads to a clinical response in 50-80% of patients with IBS , and most notable improvements include reduced bloating, flatulence and diarrhea. Furthermore, the low FODMAP diet has been linked to higher disease-specific quality of life. An effect of FODMAPs for people with IBS is the increase in liquidity of the luminal contents of the small intestine. This increased volume, combined with visceral hypersensitivity and subsequent luminal distension, will cause abdominal pain and bloating and, quite likely, looser stools. FODMAPs are poorly absorbed in the small intestine and travel to the colon, where rapid fermentation of the short-chain carbohydrates by bacteria produces methane and hydrogen. This excess gas production is associated with increased flatulence and bloating. It is also thought that foods high in FODMAPs increase gut motility, contributing to looser stools and faecal urgency. The low FODMAP diet is composed of three separate phases: elimination (2-4 weeks), reintroduction (6-8 weeks) and maintenance. It is best implemented under the guidance of an experienced Accredited Practising Dietitian. Some negative long-term effects of a low FODMAP diet can be a change in the diversity of the gut microbiome. This is due to the reduction of available prebiotic fructans in the intestinal tract that are the very fuel source needed by the valuable probiotics. Therefore, it is crucial that patients with IBS follow through all three phases, so that only problematic foods are eliminated – and a tolerance threshold of the problematic foods is established. This will ensure that a variety of tolerated short chain carbohydrates or prebiotic foods are included back into the individual’s diet to build a greater diversity of their gut microbiome. Probiotics are increasingly being recommended as an adjunct therapy in the treatment of IBS to improve the diversity of an individual’s gut microbiome, and a 2014 meta-analysis highlighted that strain specific probiotics showed an improvement in global IBS symptoms. There is not enough research at this time on the use of fermented foods (e.g., kefir, kombucha, kimchi, sauerkraut, live yoghurts and natto) in the management of IBS, but certainly deserves some merit with clinical observations. The future may indeed lie in a more personalized and targeted FODMAP and gut microbiota therapy for people suffering with IBS under the guidance of an experienced Accredited Practising Dietitian. About: Rachael Bradford is an Accredited Nutritionist (AN) and Accredited Practising Dietitian (APD) at Eat and Enjoy Nutrition, and a member of Dietitian Connection.